Know Everything *Good* About Fresh New Skincare Brand Plum | Hint: We're Already Lovin' It! 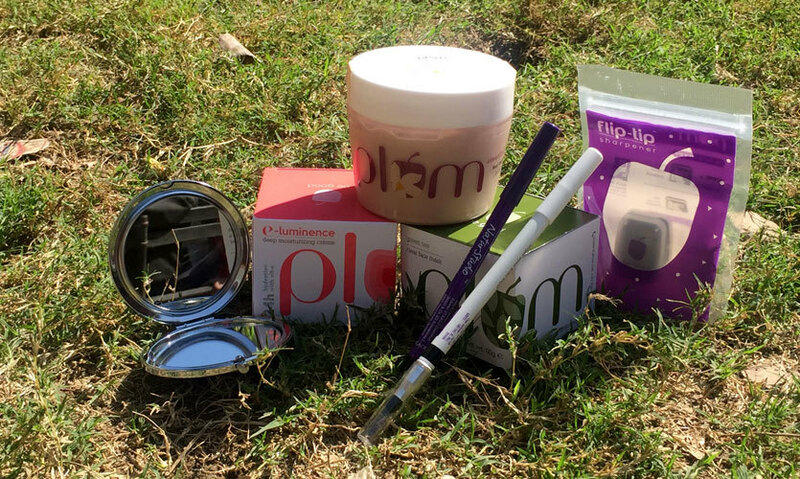 All you beauties must know about this brilliant brand called Plum. Any guesses why? Bringing forth a fresh new array of beauty products that are super promising for your skin, your senses AND for the environment, Plum is one exceptional brand that’s all about *being good*! With a motto to protect the skin you were born in, the brand tries to repair and nourish your skin naturally and yes, without the usage of harmful chemicals or ingredients! Wholesome Care | Did you know their Sea Buckthorn oil can be a great addition to your sun-care and wrinkle-care solutions with its extraordinary antioxidant profile?! *They only put natural ingredients to use* Similarly, aloe is another lovely nutrient, meant for sensitive skin! Did You Know | Their SPF products are light, fresh and what they call *delightful!*. They don’t sell skin lightening creams, and they certainly don’t discriminate on the basis of skin color and firmly believe in diversity. They just love to innovate and give exceptional results! Plus, Plum only uses recyclable plastic packaging and gives away 1% of its sales to environmental causes; they are also a member of ‘One Percent for the Planet’ which is a global alliance of brands! Impressive, huh? USP | Having a light-hearted and sincere take on skin care, they’re fully transparent about what ingredients they use and which they don’t *need of the hour!*. With their natural products, they’re among the first personal care brands to launch Ecocert-certified organic products in India! All their products are within reach of us salary-toting mortals and no, they don’t tag them as being herbal/natural/ayurvedic/organic when they use safe additives! They also don’t make their attractive packaging look artificially bigger than the real size and hence are India’s first exclusive online brand. Check Out Their Irresistible Body Care Line *New* | Introducing a brand new collection to their existing stock - their Vanilla & Fig products are just tailor-made to indulge the foodie in you! The line is inspired by delicious desserts and rich, sinful indulgences. Check out the loveliness of the Vanilla & Fig collection - the emollient Vanilla & Fig Feel The Fudge Body Butter, The Vanilla & Fig Sweet Fondue Lotion, and The Vanilla & Fig Rich Shake Body Wash! Get Your Hands On ‘Em | The Vanilla & Fig collection is already available on Plum’s online store and the products are selling out fast! Starting at just Rs 400, they give the everyday spa treatment that your skin deserves. Stock up on your Vanilla & Fig collection because the best skin is healthy skin y’all! Peeps, log onto their website and get shopping for the yummiest skincare in town!